See RB2:329–32 for the conduct of the interrogations. 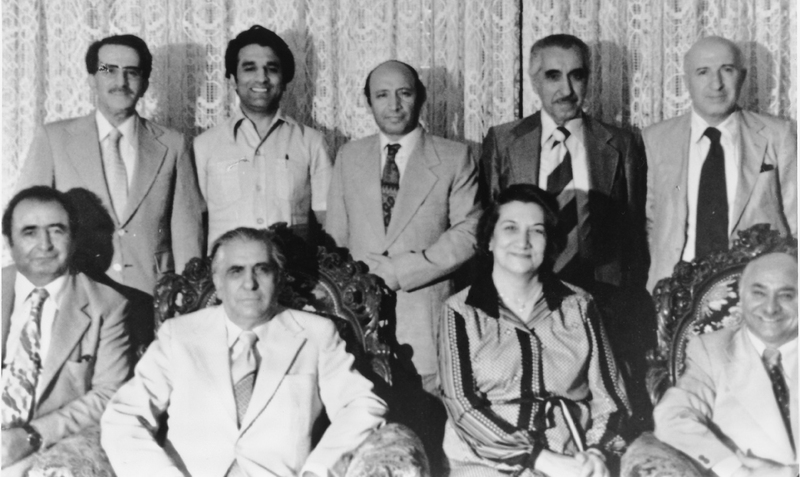 1964 (In the year) Four new believers in Cambodia were arrested and imprisoned as the Bahá’í Faith was not formally recognized and the Bahá’ís did not have permission to teach. 2013 Mar The publication of the report entitled Violence with Impunity: Acts of Aggression Against Iran's Bahá'í Community published by the Bahá'í International Community. The report documents a rising tide of violence directed against the Iranian Bahá'í community - and the degree to which attackers enjoy complete impunity from prosecution or punishment. 2013 3 Dec Mr. Hamed Kamal Muhammad bin Haydara (sometimes referred to in the media as "Hamed Merza Kamali Serostani ") was arrested in al-Mukalla, capital of Hadramout province in eastern Yemen. It was suggested that he was arrested on the orders of Mr. Khaled al-Mawari, the Chief Prosecutor who was involved in the unwarranted arrest and detention of another member of the Yemeni Bahá'í community. The family of Hamed bin Haydara had lived in Socotra since 1945, when his father arrived on the Yemeni island from Iran as a doctor under British colonial rule and was granted Yemeni citizenship. 2016 10 Aug Armed officers, masked in balaclavas from Yemen’s National Security Bureau (NSB) intelligence agency, which worked hand in hand with the armed Houthi authorities, (also knowns as Ansar Allah) stormed a Bahá’í youth educational workshop in Sana’a. The event was part of a nine day, cross country moral and educational program for Bahá’í youth organized by the Bahá'í -run Nida Foundation for Development. Sixty-five people were arrested including 14 women and six people under 18 without an arrest warrant. Half were Bahá'ís and, at the time of this writing, it was believed some fourteen remained in prison, including young mothers. Further arrests were carried out later and within a week all but 10 of those who had been incarcerated had been released. 2017 Sep Arrests of Bahá'ís in Yemen drew international censure which led to a United Nations resolution, titled “Human Rights, Technical Assistance and Capacity-building in Yemen”. It was introduced by Egypt on behalf of the Arab Group and supported by the entire UN Human Rights Council—calling for the immediate release of all Bahá'í detainees. The Council was the principal human rights body at the UN and was composed of 47 members who are elected by the General Assembly based on equitable geographic distribution. At the time of the resolution there were seven Bahá'ís in prison in Yemen, most of whom are held in undisclosed locations and one of which has been detained for nearly four years due to repeatedly postponement court-hearings. Arrest warrants had been issued for over a dozen others, while a number of families had been forced to leave their homes. Developments in Yemen indicated that the authorities’ prosecution of individuals had broadened in scope to be against the Bahá'í community in general and that efforts were being made to turn public opinion against all of the Bahá'ís under the premise that they are secretly plotting to stir unrest in Yemen. 2017 22 Oct Yemeni security forces raided a Bahá'í gathering in Sana’a opening fire on the small group of people assembled to commemorate the bicentenary of the birth of Bahá'u'lláh. The attack occurred in the family home of prominent tribal leader Walid Ayyash, who had been abducted in April and whose whereabouts were unknown. The attackers were reportedly in four cars and an armored vehicle which they used to break down the front door of the house. They arrested Mr. Ayyash’s brother, Akram Ayyash.